Donna Wilson's distinctive creations feature on cotton cushions which bring playful charm into the home. 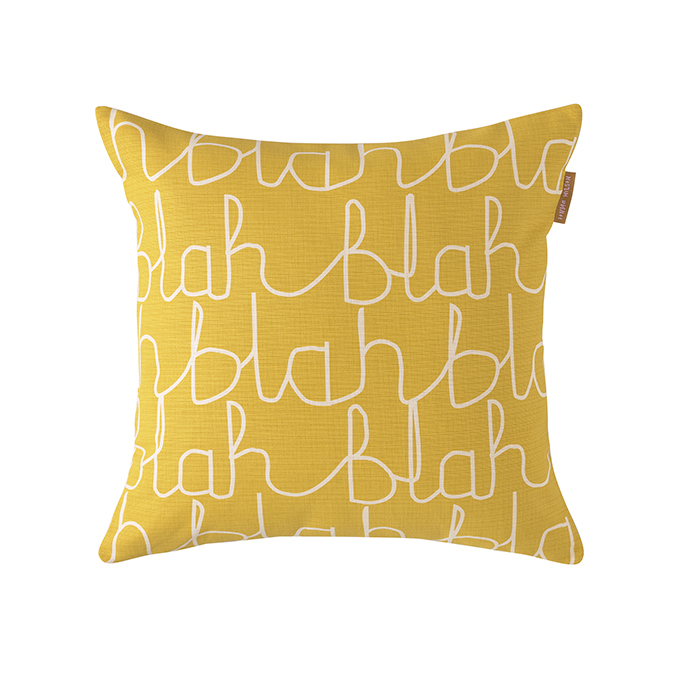 This printed cushion features her handwritten blah blah motif on mustard and cream, colours are polarised on the reverse. 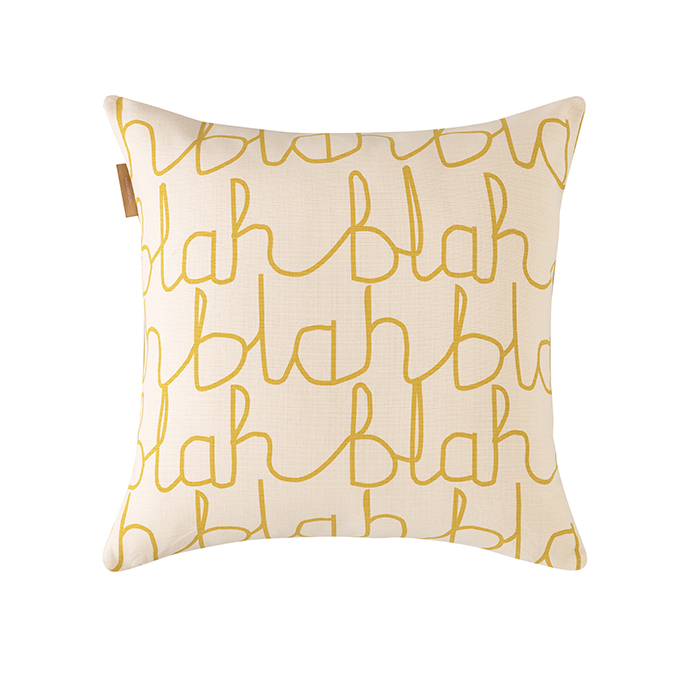 The cotton has a zip closure and comes with the inner pad.